I’ve been reading a lot about the Telos/25-7 Systems’ Voltair “black box” that some claim gives an unfair advantage to radio stations trying to game Nielsen’s PPM methodology. The box allegedly increases the chances the embedded PPM “watermark” on a station’s signal will be detected on a panelist’s meter. Is the Voltair unfair? I guess if your station won’t spring for the $15,000 price it is. In pre-sales, prior to the recent National Association of Broadcaster (NAB) convention, Telos/25-7 Systems charged companies, like Clear Channel Media + Entertainment iHeart Media, just $12,000 a box. So I guess that’s not fair if you’re planning on buying one today. Here’s the deal when it comes to radio ratings, PPM or diary. The ratings winners have always been the ones that understand the ratings game, its rules and exploited those rules to their benefit. I didn’t say cheat. 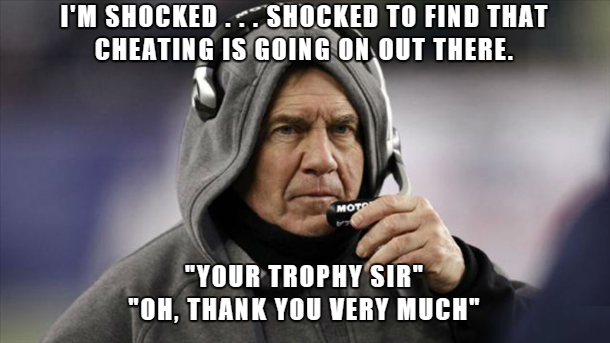 I’m talking about exploiting existing rules – like New England Patriots’ coach Bill Belicheck “exploits” the rules. When Cincinnati was in the pre-currency days of the PPM, the (then) Arbitron folks made a visit to the station. They wanted to know what we were doing differently at 700WLW. Visiting was a data guy, an executive I never heard of and our sales representative. Armed with a power point presentation complete with cool and colorful graphs, the conversation finally got down to business in the darkened conference room. Annually, at the old Radio & Records talk radio get together, I was one of the 8 people that dragged themselves out of bed and attended the early Saturday morning Arbitron PPM presentation soaking up advice from the late Bob Michaels. Others? They were sleeping off a Friday night hang over. Here’s my point. Those that play the ratings game correctly – and it is a game – are rewarded. Those who do not play the game are penalized. The rules are there for everyone to read, understand and use to strategize. If your station won’t spend the money for a Voltair box, a box that may help “assist” technical weaknesses and flaws in the Nielsen PPM methodology, flaws Nielsen will never admit to, you’re not playing the game as allowed by the established rules. Whether it’s Voltair or the next black box to come along, the brutally honest truth is radio has NEVER been fair. It’s always been an industry of haves and have nots. Some stations have powerful signals, while others do not. Some stations have the money and pay for better talent, while others do not. Some stations have long established brands in their markets, while others change format every few years. Is it fair some stations have budgets to buy TV commercials or billboards while others don’t? 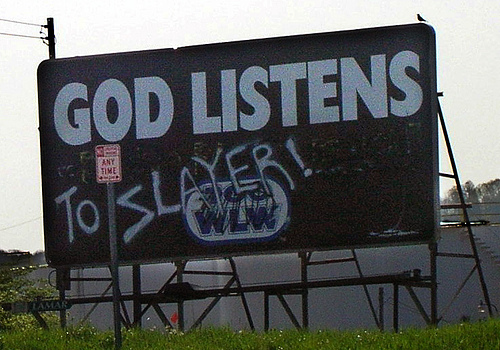 Outside advertising of a radio station will skew ratings, right? Is it fair some stations or companies have budgets to give away large sums of cash or great prizes, while others don’t? Paying people (through contests) to listen to a radio station will skew ratings, right? Is it fair some stations and companies have better access to artists and can leverage their size, Clear Channel Media + Entertainment iHeart Media comes to mind, to gain access to hot musical acts? Having access to artists can expose a station to more listeners, resulting in higher ratings, right? Is it fair some AM stations on the lower end of the band have 50,000 watts where their powerful and dense signals can be easily received? No one, to my knowledge, has ever accused the Federal Communications Commission (F.C.C.) of being unfair by licensing weaker signaled stations on either the AM or FM band, right? Is it fair some AM’s are 50,000 watts, while others are only 5,000 or 1000 watts? Jeez. My hair dryer is 1875 watts. FM stations have varying powers and antenna heights. Is that fair? Is it fair some AM stations have to reduce power and/or change patterns at night, silencing them in huge areas of their markets? Is it fair that an FM signal can penetrate a building with relative ease, while AM signals struggle to? Unfair competition is what radio is about. It has always been this way. As radio programmers, talent and managers, it’s your job to learn the game and play the game – by its rules – to gain an unfair advantage in a unfair industry with unfair competition. Is Voltair fair? You bet.